"Because we’re not exactly sure what the president is talking about," Roberts said. 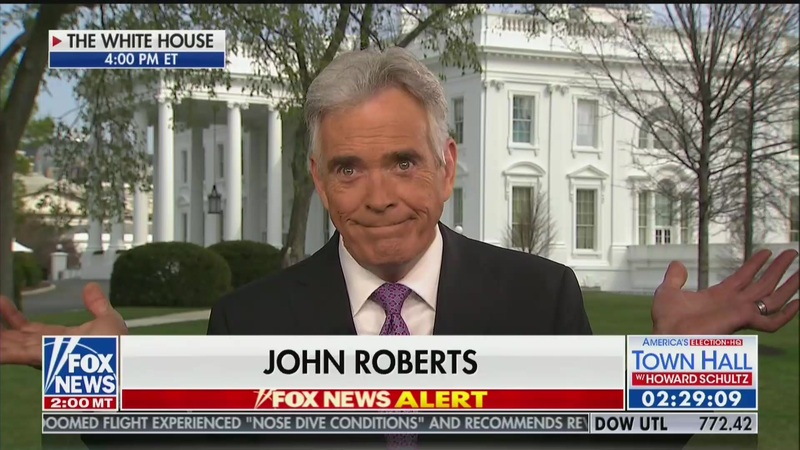 Hours after President Trump seemingly backed down from his threat to close the southern border by giving Mexico a “one-year warning” to stop migrants and illegal drugs, Fox News chief White House correspondent John Roberts pantomimed a popular emoji to inform viewers that he wasn’t quite sure what the president was talking about Thursday. Delivering a report on the president’s remarks during Your World with Neil Cavuto, Roberts told guest host Charles Payne that he would have to “do your favorite emoji” before acting out ¯\_(ツ)_/¯. After playing a clip of Trump’s remarks, Robert noted that he’d been told that the president may have meant that he was giving a warning for the car tariffs but that the border closure is still imminent. Roberts, meanwhile, explained that lawmakers immediately believed Trump was giving Mexico a year to fix those issues before threatening a border closure. “You may need your whole repertoire of emojis,” Payne responded.